Welcome to American Nautical Services! Your ultimate resource for nautical charts, vector charts & raster charts, maritime books, nautical instruments, flags, and more! Proudly serving the maritime community since 1977, American Nautical Services (ANS) is one of the largest nautical chart agents in the U.S. and is an International Admiralty Chart Agent on behalf of the United Kingdom Hydrographic Offcie. ANS is an ISO 9001 certified company and is commited to providing goods and services that meet the ISO 9001 standards. Your sailing voyage begins here. Choose from a worldwide selection of nautical charts from the National Oceanic and Atmospheric Administration (NOAA), National Geospatial Intelligence Agency (NGA), and United Kingdom Hydrographic Office (UKHO/British Admiralty). These nautical charts meet the definition of an offical nautical chart laid out in SOLAS Chapter V Regulation 2.2 and also meet the carriage requirements defined in SOLAS Chapter V Regulation 19.2.1.4. Nautical charts are a fundamental navigation tool available to mariners. Nautical charts depict the configuration of the shoreline and seafloor. They provide water depths, locations of marine obstructions, aids to navigation, and other features. Mariners use charts to plan voyages and navigate ships safely. Mariners sailing on SOLAS class vessels using an Electronic Chart Display & Information System (ECDIS) can find worldwide coverage of vector charts and raster charts through the Admiralty Vector Chart Service (AVCS) and the Admiralty Raster Chart Service (ARCS). Admiralty digital charts (also known as electronic navigation charts or ENCs) consist of digitized data conforming to the IHO’s S-57 ENC product specification that records all the relevant charted features necessary for safe navigation. Admiralty digital charts also conform to the S-63 1.1 security encryption data scheme that is meant to provide a systematic way to distribute data in a secure and commercially viable manner. Mariners from all backgrounds can browse through our selection of nautical books to find what they need. As a specialized maritime bookstore of everything nautical, we stock a wide range of nautical books from reputable publishers such as Witherby Seamanship, NOAA, IMO, NGA, and the UKHO among others. Ship owners and managers of SOLAS class commercial ships will find the publications required by the International Maritime Organization for their ships. 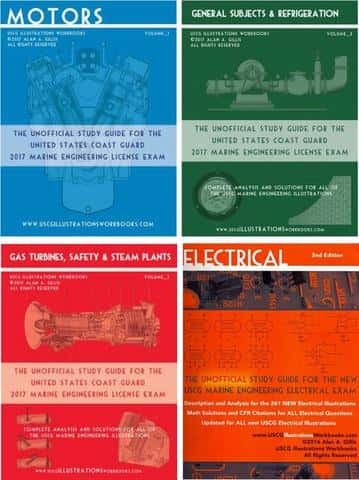 These publications include but not limited to radio signals, tide tables, almanacs, International Code of Signals, ISM Code, IAMSAR Manual, and more. Find all the latest editions of CFR 29, CFR 33, CFR 40, CFR 46, CFR 47, & CFR 49 of the code of federal regulations available in harcopy format. The code of federal regulations are a series of publications published in the federal register by different departments and agencies of the United States. These CFR volumes pertain to maritime regulations set by the U.S. federal government. Topics covered in these volumes include labor, navigation, shipping, telecommunication, and transportation. Many mariners carry on the traditions associated with navigation by plotting a position and a course on a paper nautical chart. They accomplish this task using traditional marine navigation tools, including: compasses, chart dividers, rulers, protractors, sextants, chart plotters, binoculars, chronometers, star finders, and more. It is good seamanship for mariners to know how to use these nautical tools work and to pass on that information to the next generation. High-quality modern nautical tools also make great gifts for anyone with a love of maritime history. Choose from a worldwide selection of country flags, pennant flags, numerical flags, and signal flags needed for flag state compliance for vessels sailing. These flags are used to identify the flag state a vessel is sailing under and to communicate with other vessels under the provisions of the International Code of Signals. Browse our store by publishers below. NOAA scientists are transforming how to measure accurate heights and how we can understand the water flows beyond the ground. We'll send you special deals, local news and special events.